World Wide Delivery by FedEx with tracking information. Drag the design below left or right to see the entire plate design. For Non-UK-standard size plate(s), we will email the actual layout of the plate(s) for your confirmation before production. Thank you. Shipping fixed rate at GBP £ 12 for UK and most of European countries, exact shipping charge will be determined at check out. Please Note: Please ensure that your registration is spaced exactly the way you want it displayed. We make these plates according to your specification! If you do have special requirements regarding font size, spacing, letter/number alteration or any other issues, email to us directly or use the bottom Notes/Comments for special requirements. You may be subject to extra charge for artwork. A design layout in PDF form will be emailed to customer for confirmation when plate size other than standard plate size (520mmx111mm) is requested. PimpMyPlate is your shortest way for custom number plates, personalized show plate frames and car number plate flags! We use the finest equipment to manufacture the best custom show plates for you. We have an easy to use Custom Show Plates Creator that allows you to fully customize your plate: from picking a country emblem to a font size. You may also upload your own images and we can print any custom image for the side image. If you have any other suggestions about print - write them directly to our email. We are the web’s leading supplier of custom vehicle number plates, and you can design and order desired custom show plate online. 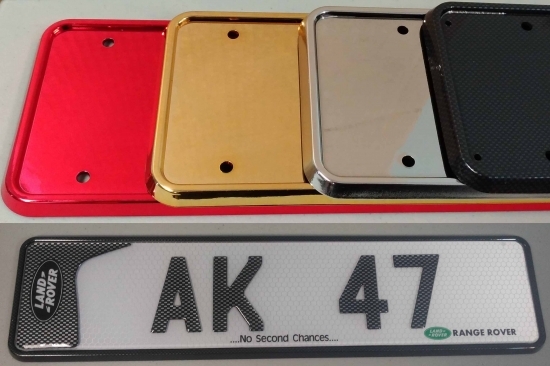 A great site to create any design of car plates and look at it before buying. Personalise your car number plate with PimpMyPlate design creator. Create your own plates, and impress your friends - this is super easy to do with our number plate builder. Use our show number plate builder to create your own custom number plates, show plates and bike plates. *Note: The preview gives you a general idea of the plate’s final look — the fonts and images on a real plate are of the best possible clarity and view. This means that a real plate looks much more better than one on a preview. Preview image from show plates design creator just partly convey the feeling of real life view, and you will be totally fascinated with the end product. By the way, you can make car show number plates online for any types of vehicles. 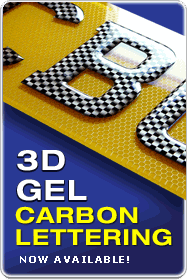 Our Design Builder offers you a wide range of fonts in creating a car show plates. We know that our costs can’t be beaten, and are proud to provide a great product. Show number plates presented on our site, are made of high quality materials using a high technology reverse print process. You will be proud of the unique and beautiful look when you place them on your car.